Making your driver's license is troublesome, especially if you go driving a car in one region and registered in another. In this case, in addition to the main documents you will need to arrange additional help. This must be done before the exam for a driver's license to the traffic police. Sign up at the place of stay (get a temporary residence permit). 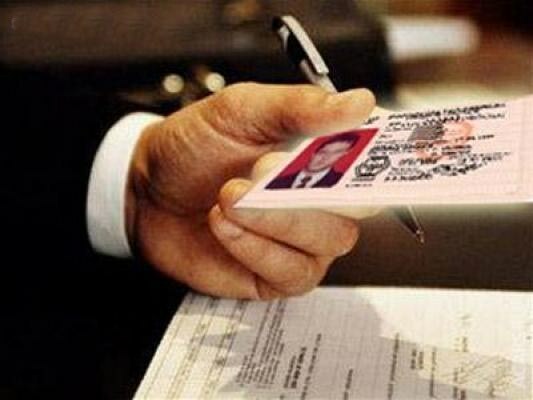 Find out the phone number and address of the passport office, check the phone reception days and required documents for the certificate of temporary registration at the place of stay. Go to the right office on the days of reception of citizens on the issue of temporary registration along with the owner of the apartment where you currently live. Apply for registration along with necessary documents. Take on the appointed day, a certificate of temporary registration by place of residence. Make a request to the Department of traffic police of the region where you lived before (your place of permanent residence) for the issue of a certificate stating that you were not accorded rights in your region and are not deprived of them. Call pre-call in the traffic police, find out more about the conditions of issuance of this document. Keep in mind that the validity period of the certificate - one month. Make reference to the substance abuse and mental dispensaries of the place of your residence that you are not they have registered. Make telephone calls to the registry of these institutions will specify the details of obtaining such certificates. Most likely, you will have to go there themselves and take care about the design. With the obtained information you need to contact the registry similar institutions at the place of temporary registration to receive the mark in the certificate of medical examination, that you do not stand on the account at them. Only if all these additional information you are permitted to take the exam for a driver's license in division of traffic police at the place of your temporary registration. Select the day and go to the traffic police, drug and mental hospital on your place of residence to obtain additional certificates, after calling on the phone in these organizations and clarifying information. It will be faster than waiting for the response.